The Square Inch is kicking things off with a fun two-hour workshop on screen printing by Suhana Medappa. No skills are required, just an interest to learn something new. a�?Ita��s for people who want to realise their creative potential. Or to kill two hours on a weekend,a�? laughs Medappa, who owns The Print Journal, a screen printing studio in Bangalore. The workshop will not only give you an introduction to the art, but will also teach you how to make simple things like wrapping papers and greeting cards. Medappa says that to the layman, screen printing is just about mass production. But in reality it is a very artistic medium. a�?I was introduced to it in my final year at Srishti School of Art in Bangalore (while specialising in textile design). I realised its potential when I worked with designer Satya Paul in Delhi. So when I got tired of the 9 to 5 grind, I quit and started my own studio.a�? 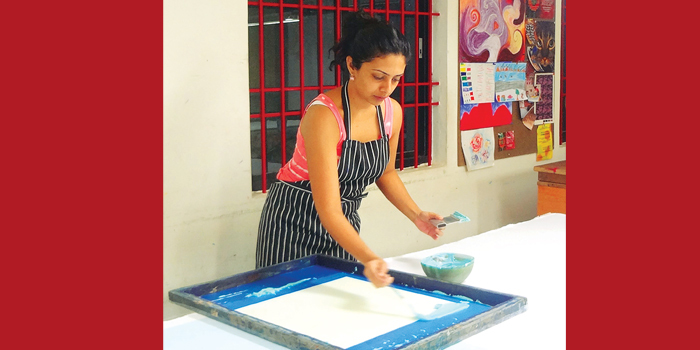 Though she started off doing customised work (which she still does), growing curiosity about screen printing made her diversify. a�?I began with workshops for kids, which snowballed to include people of all ages,a�? she says, adding that her workshops range from two hours to 20 hours. The lattera��spread over several daysa��is for those who want an in-depth understanding of the art. Medappa is open toA� conducting them in Chennai if enough people want it. At The Square Inch on January 25 and 26. Two sessions per daya��11 am to 1 pm and 3 to 5 pm. Price: Rs1,500. Details: 09900565302.